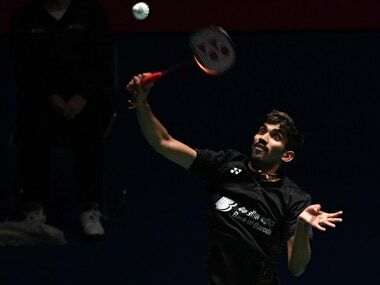 India can emerge as a badminton superpower if appropriate systems are put in place, feels former All England champion Prakash Padukone, who put the onus on Badminton Association of India (BAI) to be more proactive and not rest on its laurels. "It is not the time to sit on laurels. There is always scope for improvement. 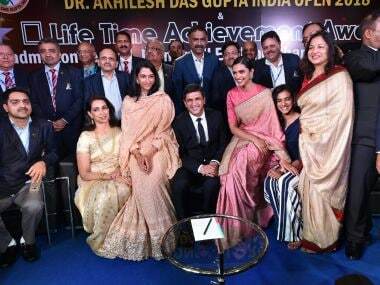 BAI, along with the state associations, need to work proactively to encourage the abundance of talent that is available, especially in smaller towns and cities," said Padukone, who was conferred with the by the BAI . "If appropriate systems are put in place, India can be on par with other leading badminton nations of the world like China, Indonesia, Malaysia, Japan and Korea. "However if we do not achieve this, it will not be due to lack of talent in the country. It will be due to other reasons. I hope BAI will keep this in mind while charting the future course of badminton." Padukone, who had also won the Danish Open and Swedish Open in 1980, said it is important to set up academies and appoint the right coaches and recognise their effort. "The goal should be to establish at least one academy in each zone to begin with and the long term goal should be to have one academy in each state fully funded either by the ministry or BAI," he said. "The future is bright and I feel extremely optimistic by the talent pool that is available. "But it is important to ensure that these youngsters are given opportunity to progress based only on merit. The support has to come at right age and right time or else the talent could be lost forever." Padukone, who won both the senior and junior National Championships in 1970-71, said BAI needs to gear up to take Indian badminton to greater heights. "The way the game is growing, we can easily compete with all the best badminton playing nations of the world, we have to gear up in terms of administration, planning and funding," he said. "But just opening academy will not be enough, choosing the right coaches, people who run the academy that is important. It is important for BAI to recognise such coaches. Then the sky would be the limit. "We have lot of talent and if they don't do something I will be really disappointed. We should be competing with the likes of China and Indonesia." Asked how the game has changed over the years, Padukone said: "It has become more physical but it has happened for all sports not only for badminton. It has also become technical and you have to take the help of a lot of nutrition, physios, trainers. "These days to reach the top it is not good enough to be just be good in your sport, you have been mentally and physically fit, you have to recover in time, so many other factors. So it is important to build a good team, you need the support of lot of people to stay on the top." He hoped the coaching system in the country improves further so that India can rise faster in the world chart. "We have a good coaching system but there is a lot of scope for improvement. It is improving slowly but I hope with more funding and better planning, we can grow faster," he said. "We have a lot of talent, even from Taiwan, Thailand, Japan, lot of players coming up. Badminton as a sport is growing throughout the world, even in Olympics. It is one of the most watched sport. "Who will be next Sindhu or the next Srikanth. Even though they are 22-24, we have to plan next line of players. The sports has definitely become more competitive and we need to plan for future," he added.